In one of the worst air show crashes in U.S. history, a Canadair Sabre Mark 5 slammed into a busy Farrell’s ice cream parlor in Sacramento, Calif., on Sept. 24, 1972. The accident claimed the lives of 22 people, including many children, and injured 28 others, the pilot among them. A ceremony marking the 40th anniversary of the tragedy was held at the accident site on Sunday. The Farrell’s crash, which occurred just after the Golden West Sport Aviation Show, also forever changed how ex-military jets would be flown in demonstrations. The National Transportation Safety Board’s accident report discovered the pilot, 37-year-old Richard Bingham, logged less than four hours flying the Sabre, a Canadian-built version of the North American F-86 Sabrejet. Although an accomplished flier, the NTSB determined his lack of proficiency in the Sabre caused him to over-rotate it as he tried to take off from Runway 30. 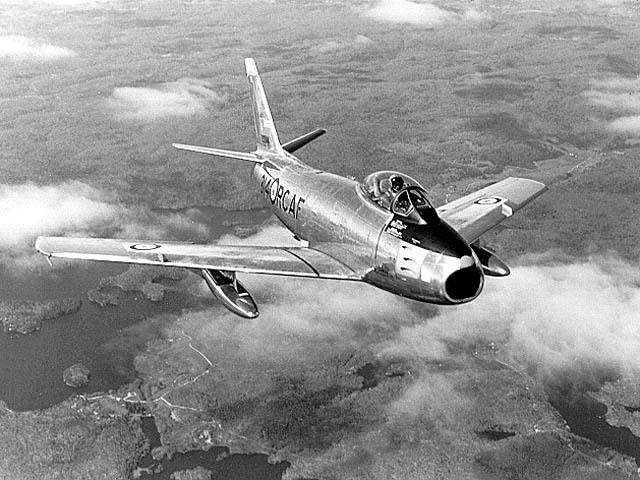 The jet, built by Canadair in 1954 and flown by the Royal Canadian Air Force until 1961, never became fully airborne, so it eventually sped through the fence of Sacramento Executive Airport, crossed a street, then struck the building. The NTSB found no malfunctions or mechanical failures that would’ve prevented a normal takeoff. Assisted by a witness’s 8mm film of the takeoff, the report showed the Sabre’s nose-up attitude was as high as three times that of a typical Sabre during takeoff. Visual cues were cited as a factor; Bingham possibly was thrown off by the stark contrast of Sacramento’s Runway 29 and Oakland International’s Runway 30. The former is surrounded by trees, homes, stores and other objects; the latter is located by San Francisco Bay. The report stated the more definite horizon on Runway 29 may have lead Bingham to over-rotate the Sabre so it would clear obstacles past the runway threshold. As a result of the crash, the Federal Aviation Administration issued new rules for former military jets later that year. Among them, such aircraft would be prohibited from flying over densely populated areas and their routes during air shows would first need approval by the FAA. Pilots of such flights would be more closely vetted, too; a military or manufacturer’s checkout would be needed beforehand and an FAA inspector would first need to observe three takeoffs and landings to confirm aircraft knowledge and flight proficiency. The Sacramento Bee’s coverage of the memorial ceremony can be found here and here.